The Reitz Home Museum depends upon dedicated, enthusiastic volunteers and interns to carry out daily operations and special projects/programs. Their work is essential to the museum’s operations. Provide guided tours to museum visitors. Comprehensive training is provided. Most Docents work one day per week or a few two-hour shifts per month during visiting hours, which are Tuesday through Saturday, 11:00 AM to 3:30 PM, and Sunday, 1:00 PM to 3:30 PM. A coordinator handles scheduling, which is very flexible. 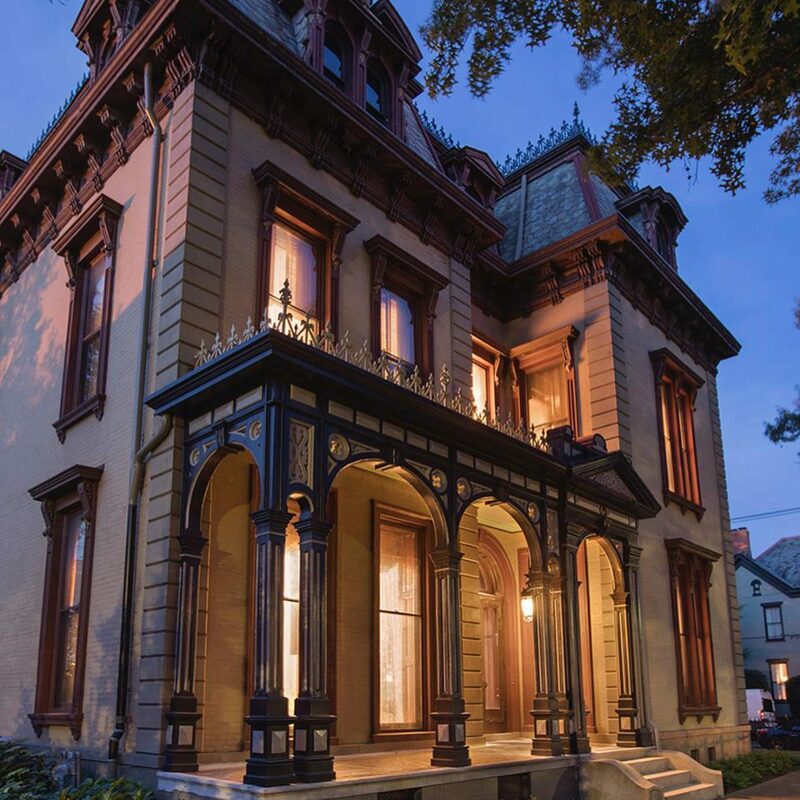 The Reitz Home Museum works in cooperation with colleges and universities to promote education in history, art history, museum studies, and other programs. Interns may be assigned to focus on a particular facet of the museum, such as collections, development, research, educational programming, or promotion. However, a broad range of activities will be part of the experience, and the student will receive exposure to various contacts in the cultural institutions industry in Evansville. As a result, the intern will be better prepared for the “real world” of work. In recent years, interns have worked on projects as diverse as helping to set-up new exhibits, learning to accession new items into the collection, researching family history, giving guided tours, publishing a book, and experiencing the daily responsibilities of a non-profit house museum. Internships are generally not paid. Interns receive credit hours for 150 hours of work at the Reitz Home Museum. For more information, work with your school advisor and contact the Reitz Home Museum.